119. Davis, Earle. 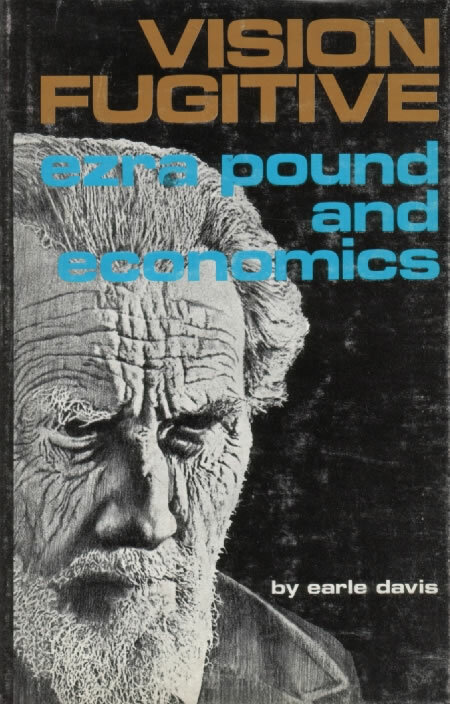 Vision Fugitive: Ezra Pound and Economics. Lawrence: UP of Kansas, 1968. As is clear from the title, Davis’s central aim is not to examine the structure of The Cantos, yet he offers in passing (pp. 39-40) an interesting variation on the thesis first set forth by Slatin (108) that Pound derived structure in the poem from his work with the nô. Davis quotes the ‘listening to incense’ passage from Pound’s work with the nô materials (see 17b), and suggests that as (according to Pound) the medieval Japanese made an allusive ‘game’ of guessing which ‘perfumes’ were being burnt, and which ‘strange event of history or . . . passage of romance or legend’—the words are Pound’s—the scent was to call to mind, and as each nô play ‘works on an intensification of a single image or emotion’, so Pound ‘must have envisaged a poem in which single themes (emotions or perfumes?) were intensified by a number of illustrations or passages from romantic history and legend, examples which connected or illuminated the central image, emotion, or idea’. ‘Part of the fun’, Davis suggests, ‘is that it was a guessing game’.